This one. Right in the feels. Speechless. This had me speechless. I thought this was just so ... powerful. This is the poster released after Mel Blanc, the man of 1.000 voices, passed away. 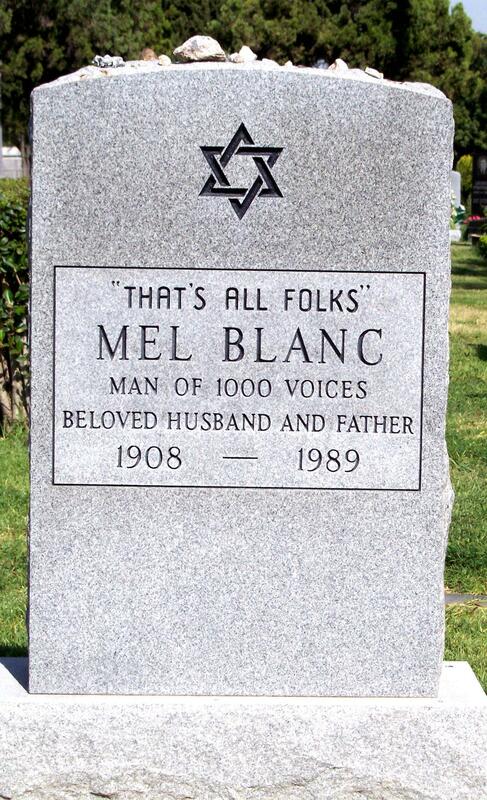 Mel Blanc was the iconic voice of Bugs Bunny and other Looney Tunes characters. There's a Radiolab episode about him as well. The epitaph on his tombstone reads 'That's all folks.' Oh man. All of the feels. As if that weren't enough, I soon learned this had been done more often. All of my feels man, all of em. ...And one for Walt Disney. Posted in Personal blog and tagged with Mel Blanc, Jim Henson, Joe Lanzisero, Feels, Walt Disney, Chuck Jones. April 5, 2013 by Emiel Sondag.